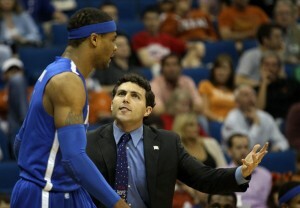 Josh Pastner is the head men's basketball coach for Memphis University. He is currently in his 4th season as the head coach (12-13). In his first 3 years as the Tigers head coach he won a remarkable 75 games, which is really impressive, especially for a new coach. Josh continues to make his argument for being one of the best young college basketball coaches in America. These basketball coaching clinic notes were taken from the Rising Coaches Conference in 2010. We are coaches. We have an ability to impact lives. Get guys to play hard!